Sometimes, a person can’t help but marvel at an exuberant figure. 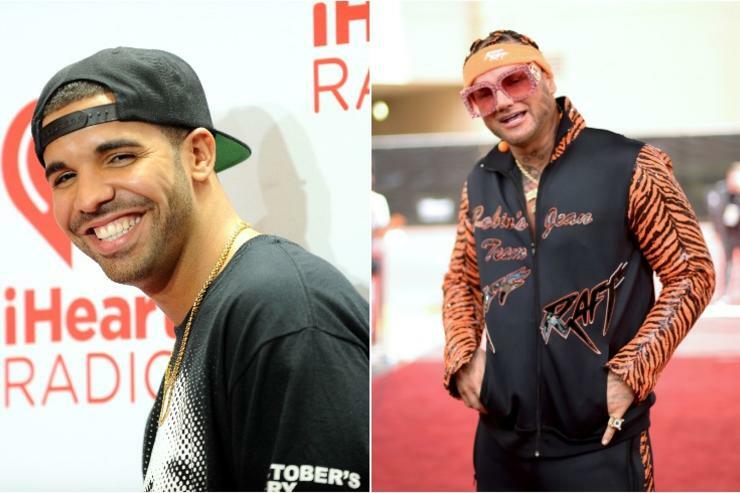 Even a superstar of Drake’s magnitude is far from impervious to RiFF RAFF’s peacocking, as evidenced by a recent Instagram documentation. After shutting it down during Drizzy’s Nashville Aubrey & The Three Amigos tour, Drake took a moment to observe Jody Highroller’s sheer magnificence on the dance floor. Adorned in the typical outlandish fashion he’s become associated with, RiFF RAFF seemed content to put on a one-man show, prompting undeniable respect from Drizzy. It’s hard to whether such an interaction could ever remotely lead to a collaboration, but stranger things have happened. We’ve already heard reports that RiFF RAFF secured an Eminem feature for his upcoming album Vanilla Gorilla, so anything is possible, is it not? In any case, it’s cool to Drake paying homage to an unconventional icon, who has long carved out a spot in the hip-hop pantheon.